Lucy Lighting Fortress Double Door Feeder Pillars are robust pillars providing low voltage electricity distribution for a variety of applications. 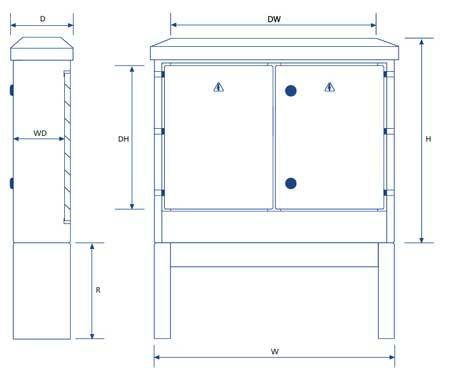 Lucy Lighting Fortress double door feeder pillars are available with following optional extras : internal gland plate, in fill panel for root section, yale lock, hasp and staple, heater kit, 13amp socket kit and lighting kit. 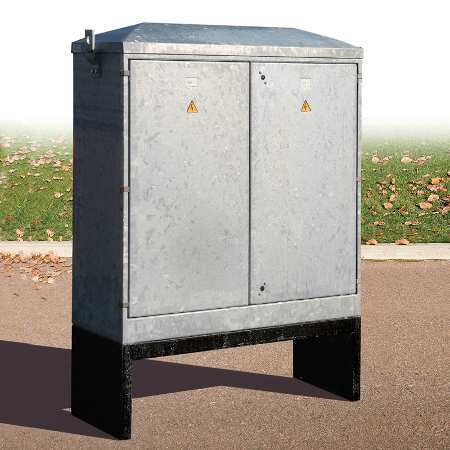 Lucy Lighting manufactures Fortress Feeder Pillars for a wide range of LV electrical distribution applications including street lighting control, motorway, car park lighting, airports, private housing developments, railways, ports and docks, MOD, water utilities, power stations and pharmaceutical sites.